as an appetite suppressant and mood enhancer. Hoodia is the MOST effective ORGANIC appetite suppressant on the market. It grows naturally in the Northern Cape, a province of South Africa, where Nature Conservation registers it as a protected species in the wild. 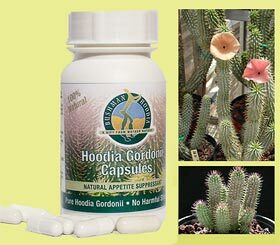 Hoodia Gordonii is famous for its effects as an appetite suppressant and mood enhancer.Recent research has shown that the Hoodia Gordonii species contains a molecule that is similar to glucose, only much stronger. Scientists believe that this molecule in Hoodia fools the body into believing that it has just eaten.Hoodia is the most effective natural appetite suppressant on the market. Many people also experience an upliftment in their mood immediately, followed by a complete satiation of the appetite. After eating Hoodia one simply doesn’t feel like eating a meal. Please note that people do report different reaction times to Hoodia – this appears to be dose specific. Some individuals may need to take more than others order to experience the same effects. As far as scientists know, there are no negative side-effects. Hoodia is currently not classified as a medicine in South Africa, but as a foodstuff, which is testimony to how safe it is.Hoodia Gordonii is eaten fresh as a food and is also used medicinally for abdominal pain suggestive of peptic ulceration. There are more then one Hoodia species each with its own function. 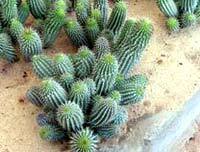 Most Hoodia species are eaten as a foodstuff, thorns peeled off and eaten like a cucumber. Amongst the native desert tribes, they formed a much-needed emergency supply of food in harsh desert conditions when food was not available.Farmers who are licensed by Nature Conservation grow Bushman Hoodia’s Hoodia Gordonii, and the plant is been exported with all the legal paperwork that should accompany a protected species.Licensed growers are the only people who may cultivate and export the plant: this ensures the survival of the plant.